I'm an artist who loves to experiment. Acrylics, chalk, pens and glaze...collage paper, tissue, maps and book pages...rubber stamps and cardboard stencils...linoleum prints, monoprints, collographs, silk screens and etchings...or all of the above! Whether I'm travel journaling with my watercolors or visual journaling with old National Geographics, my hands are covered in paint and my head is in a creative cloud. Join me in the studio. We will have a great time experimenting together! Click here to see my resume and art experience. I had the wonderful opportunity to live and work and create for a month in County Kerry in Ireland. It was a combination of retreat, studio intensive, exhibition, vacation...and adventure! I created hand-colored linoleum prints inspired by the Irish landscape. "I am thrilled to be one of 31 artists chosen by the Arts and Science Council to receive Regional Artist Project Grant funding in 2015. 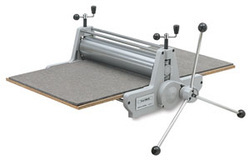 With this grant, I can fulfill my proposal to purchase a medium size printing press so that I can more easily create large-scale professional print folios. My first project will involve a series of colorful, modern botanical studies I’m calling “Heirloom Seeds.” I plan to weave stories and images of favorite plants into my compositions, combining my printmaking with mixed media elements. I visualize two or three large pieces, along with watercolor sketches and small prints, for each plant. They will reference traditional botanical studies, but in a more contemporary, graphic presentation. I look forward to showing the new work at Ciel Gallery in November." What an honor to be chosen as one of the nine artists for the Arts and Science Council's inaugural Community Supported Art program! I created FIFTY original mixed media paintings. 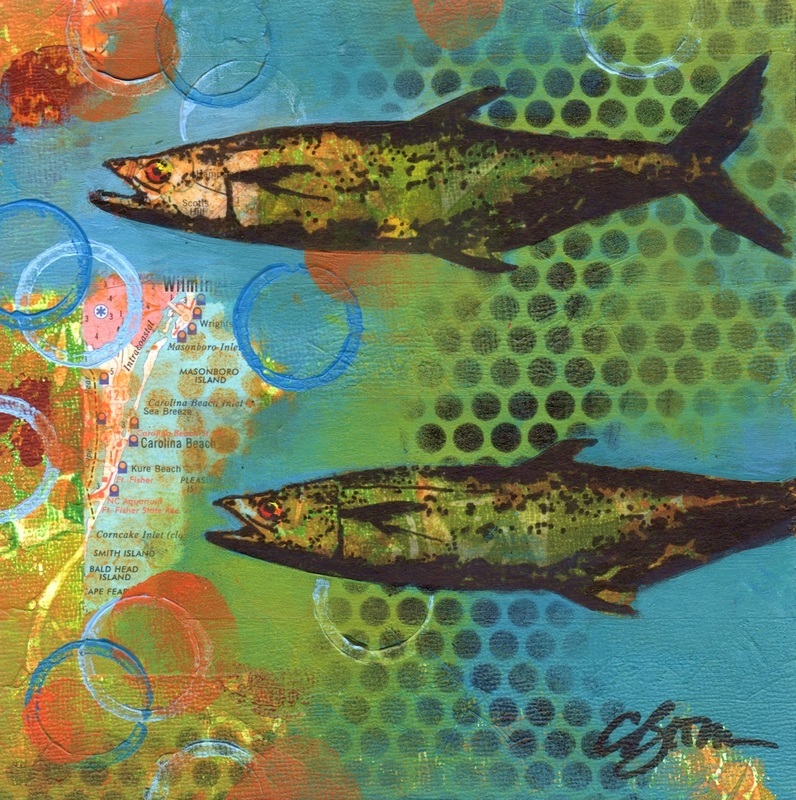 Based on the idea of local food and local art, each one features a fish from North Carolina that is fun to catch and delicious to eat. You can read more about the program here. To learn more about the great ways the Arts and Science Council supports arts and culture in the Charlotte area, go to www.artsandscience.org.